For a year now, Busia residents have witnessed bad governance, corrupt tendencies, abuse of office and nepotism especially in award of tenders and employment. According to those who have been watching the on-goings closely, the saga surrounds the filling of a vacancy in the office of county secretary which was advertised and many people applied but a majority of those who qualified were never shortlisted! They said that they did not read much in the whole game at that time until from the three shortlisted only one and the incumbent were interviewed. Later, the public service board advised that the position be re-advertised but the executive instead sent the name for vetting to the shock of many in Busia county. 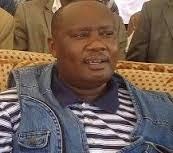 Already, there is an issue with the clerk of the county assembly of Busia who is from Bungoma as the executive want to force their candidate who hails from Kakamega on the people of Busia county. “Busia county too has educated people who can take such positions,” a CEO of an NGO said while issuing a statement on the matter. “The lady many expected would be best choice for the job, but who was instead frustrated, has a Bachelor of Education degree and was able to beat many others during the job interview who were only holders of certificates in public administration and CPS at short-listing stage,” he said. The CEO told Busia county governor to style up and match up the standards he wants Busia county to adapt if he expects the people to follow suit.